The stylish terminal building at Guerney airport was opened in 2004. 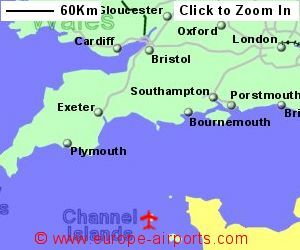 A frequent public transport bus service links the airport with the rest of the island, nowhere being more than 7 miles away. Facilities include 2 cafes/restaurants, 2 shops, an ATM, and conference facilities for upto 50 people. 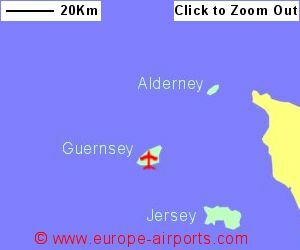 In 2017, Guernsey airport handled 843,000 passengers, a 4% drop from the previous year.